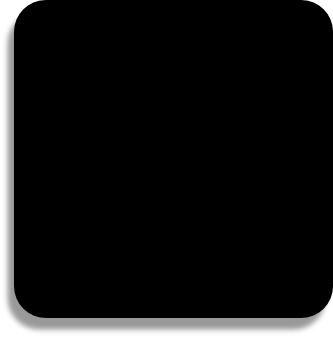 We have individual DJ’s and DJ’s from Alltrack and DJ music 24-7 who have how combined to become Alltrack Promotions DJ’s, we provide experienced DJ’s and quality disco entertainment. Our DJ’s are professional and experienced. Almost all of them work every week and so they’re all up to date with current music trends and are used to helping you make the most of your night. They are dependable and arrive on time. All of our DJ’s carry music ranging from the 1960’s to the present day. With our request list facility they can also ensure that should you have any special music requirements, additional types of music can be included. 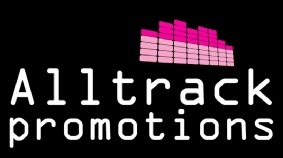 Alltrack est 1998 and DJ Music 24-7 Ltd est 2003 have now merged as one company, to become Alltrack Promotions Limited. Combind with over 30 years experience has made us one of the longest established true entertainment agencies in the North-West. We specialise in providing good quality DJ’s and live acts for clients throughout Lancashire and the North-West of England and now starting to cover all of the UK. We understand that different performers are more suitable to certain environments and functions, with this in mind a great deal of time is spent ensuring that the performer or DJ selected is exactly right for your function. All of our DJ’s have years of experience and each excels in their own field, so whatever the function we have the right DJ for the job! 100’s of satisfied customers, reviews to read and over 500 facebook likes. Alltrack Promotions has in place Public Liability Insurance and PAT Tested Certificate for its DJ’s and its DJ’s equipment. You can view our certificates. We use high quality manufactured DJ sound and lighting equipment and regularly test and inspect our equipment for reliability. To read some more about us see below. Every DJ – regardless of the event will be smartly dressed – our DJ’s will never work a night dressed in jeans and trainers (although occasionally whilst setting up they might wear this with a view to getting changed once set up). All the equipment the DJ’s use is bought – none of our DJ’s have attempted to make their own speakers or lighting (unlike some we’ve been told of) so you know that the setup will look professional and not tatty. We have DJ’s to suit every event. Whatever your event – from a Children’s party to a Golden Wedding celebration you can be sure that we will allocate the DJ that’s right for you and your event. Our DJ’s are flexible – on the night they will gladly read out the results of your raffle or compere the bingo or help in any reasonable way possible – naturally if we’re informed that you require this beforehand we can ensure the DJ is prepared. Our DJs are friendly – they will play requests (where appropriate) they are very approachable and want you and your guests to enjoy the night – please do not hesitate to speak to them during the night about anything that might help you make your function a night to remember. Here you can read more about us, including our history, our DJ’s, our equipment and our live acts.